We've got a fun treat for you, Movie Fanatics! The Olympics are captivating the world, and of all the sports, some would argue that downhill skiing is one of the most exciting. But... how to make it even more thrilling? Danish TV show Natholdet (Night Shift) has added those Giant Walkers from Empire Strikes Back and upped the ante in the race for the gold! Watch now! 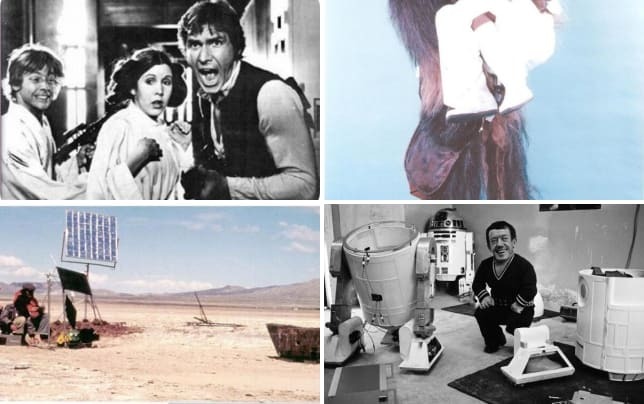 Now that you have Star Wars on the brain, be sure to click through and check out these ultra rare behind-the-scenes photographs from the making of the first Star Wars trilogy!